Pattie Maes is the Alexander W. Dreyfoos (1954) Professor in MIT’s Program in Media Arts and Sciences and associate head of the Program in Media Arts and Sciences. She founded and directs the Media Lab’s Fluid Interfaces research group. Previously, she founded and ran the Software Agents group. Prior to joining the Media Lab, Maes was a visiting professor and a research scientist at the MIT Artificial Intelligence Lab. She holds bachelor’s and PhD degrees in computer science from the Vrije Universiteit Brussel in Belgium. Her areas of expertise are human-computer interaction and artificial intelligence. Maes is the editor of three books, and is an editorial board member and reviewer for numerous professional journals and conferences. She has received several awards: FastCompany named her one of 50 most influential designers (2011). Newsweek magazine named her one of the “100 Americans to watch for” in the year 2000; TIME Digital selected her as a member of the Cyber-Elite, the top 50 technological pioneers of the high-tech world; the World Economic Forum honored her with the title “Global Leader for Tomorrow”; Ars Electronica awarded her the 1995 World Wide Web category prize; and in 2000 she was recognized with the “Lifetime Achievement Award” by the Massachusetts Interactive Media Council. She also received an honorary doctorate from the Vrije Universiteit Brussel in Belgium. Her 2009 TED talk is among the most watched TED talks ever. 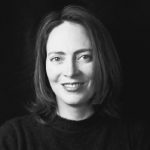 In addition to her academic endeavors, Maes has been active as an entrepreneur as cofounder of several venture-backed companies including Firefly Networks (sold to Microsoft) and Open Ratings (sold to Dun & Bradstreet). She remains an advisor and investor to several MIT spinoffs.